A multi-million pound upgrade to a busy stretch of the M6 in the West Midlands is set to start next year. Highways England is now inviting drivers, business owners and local residents to find out more about its plans at a series of public exhibitions. 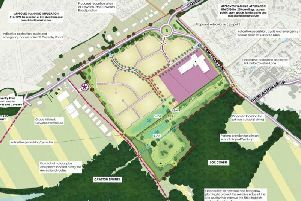 The exhibitions will offer more information on plans Highways England said will reduce congestion and improve journey times with a 13.6 mile upgrade to a route that passes through the West Midlands. The M6 is a key strategic route carrying high volumes of heavy goods and other vehicles between London and the North. Drivers currently experience congestion and unreliable journey times at busy periods, while traffic is predicted to grow. The work will include: converting the hard shoulder to create a permanent fourth lane between junctions 2 and 3a, Installing new electronic information signs, signals and CCTV cameras - these will be used to vary speed limits and manage traffic flow and incidents, installing nine emergency areas to use in place of the hard shoulder, improving the central reserve and adding a reinforced barrier to improve safety, adding new noise barriers in built up areas. Highways England smart motorway project sponsor, Peter Smith, said: “This is a key corridor between Birmingham and Coventry and this work will increase capacity on a very busy stretch of road. Work to upgrade the M6 will is set to start in March 2018 and will be completed by the end of March 2020. The cost for the work ranges between from £155m to £234m.